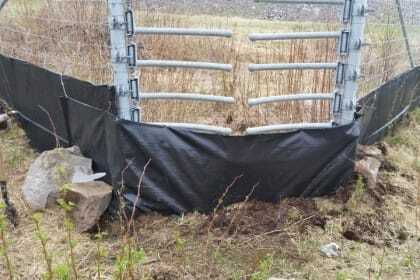 Eco-Kare worked with the Ministry of Transportation, Northeastern Region to maintain and extend several km’s of heavy duty geotextile fencing attached to large animal fencing installed on Highway 69 in 2012. 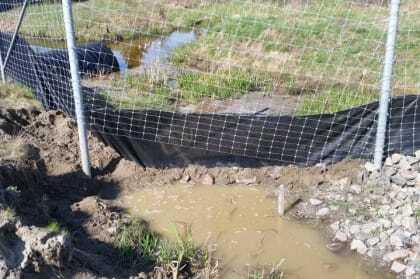 This fence was designed to exclude Blanding’s turtles from the highway and funnel turtles to the three reptile crossing structures and other drainage culverts. 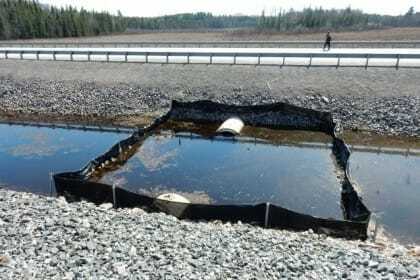 Monitoring updates has shown that there was only one Snapping turtle found dead at the southern fence end and twenty turtles have used the reptile crossing structures over a two year monitoring period. 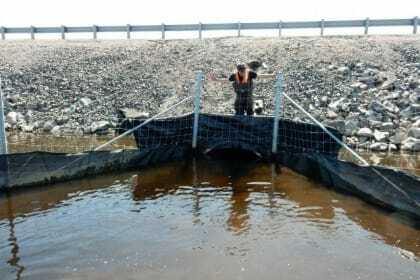 Adding fence material over culvert to prevent turtles from accessing the right-of-way. Exclusion fencing in median right-of-way; rocks used to secure bottom of fence so turtle continue through reptile tunnel. 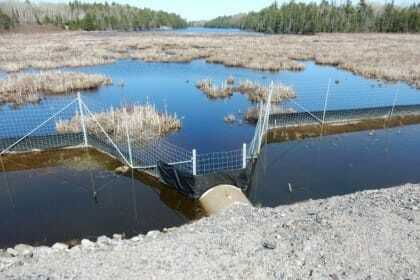 Raising the fence above water levels to prevent turtles swimming over the fence. 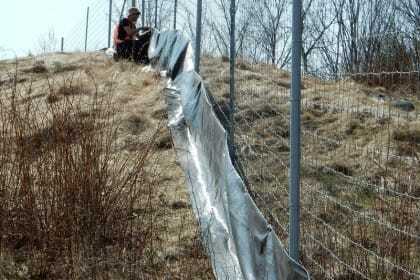 Using turtle exclusion fencing to close gap created by large-animal one-way gate. Extending the southwest fence end along Blanding’s turtle habitat on Highway 69. A washout fixed with rocks, dirt, and a shovel. A barrier below the fence that provides drainage but excludes turtles. 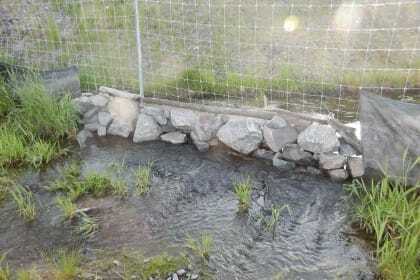 Fence abutting culvert structure fixed over the tunnels to ensure no gaps.